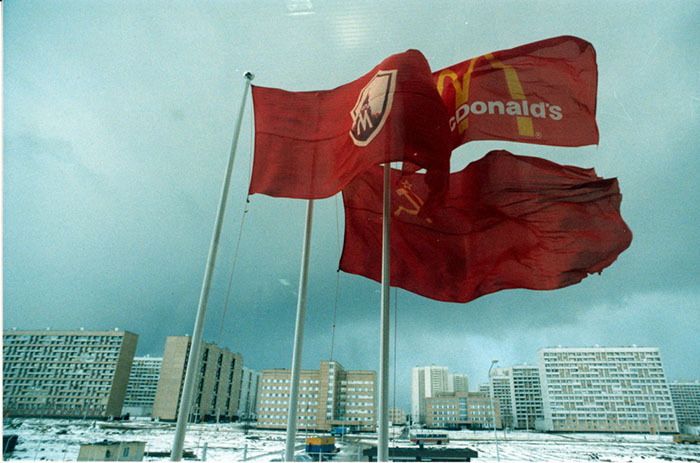 Under the right circumstances, even the simplest things can become symbolic. 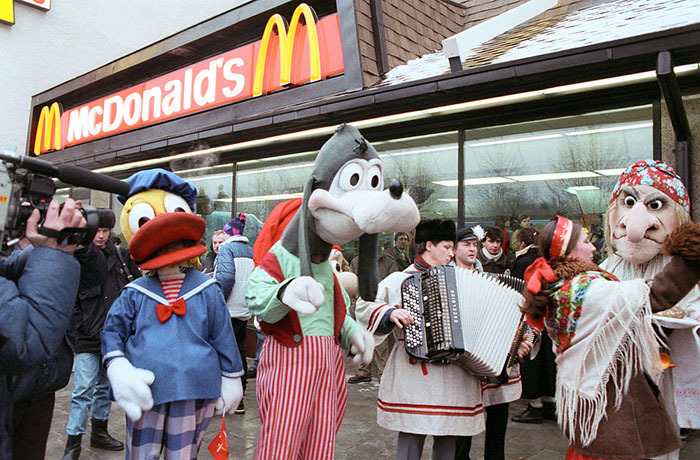 An opening of a McDonald’s restaurant, for example, sounds kind of mundane, I mean there’s already a gazillion of them around the world. 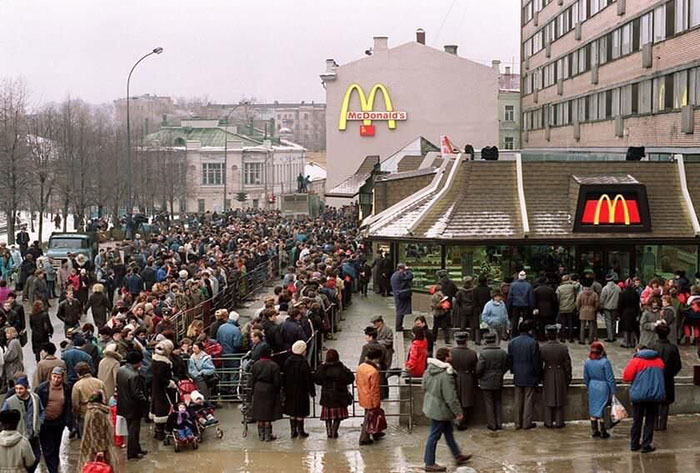 But the first Soviet McDonald’s in Moscow? 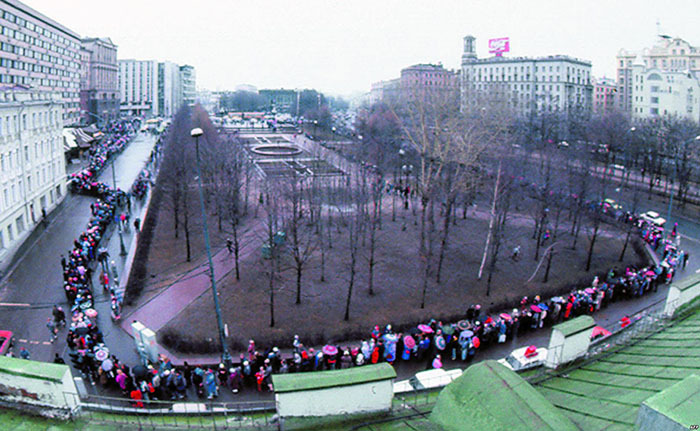 That’s something else. 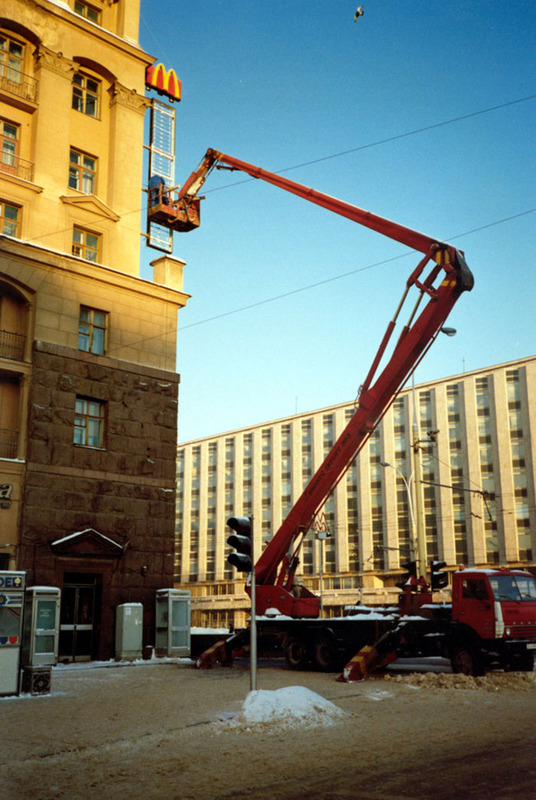 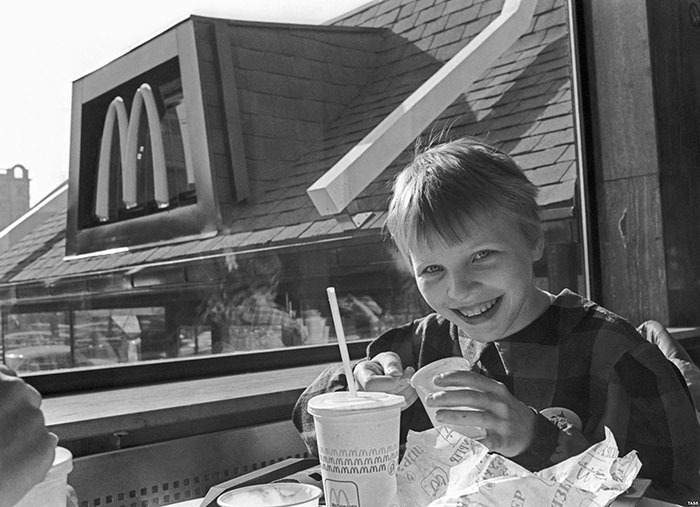 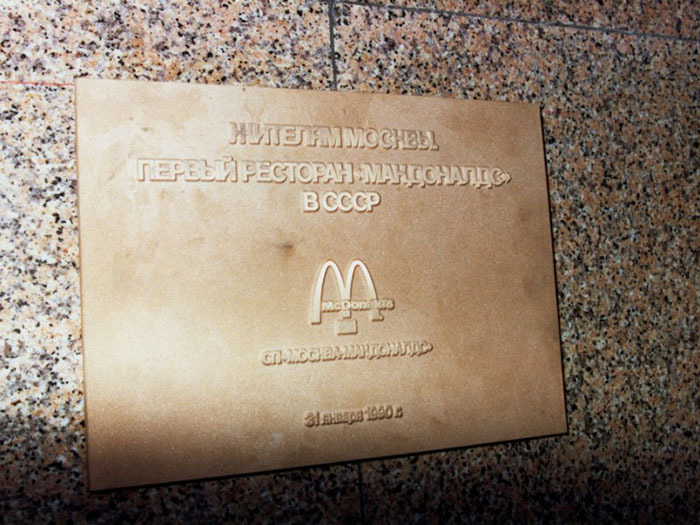 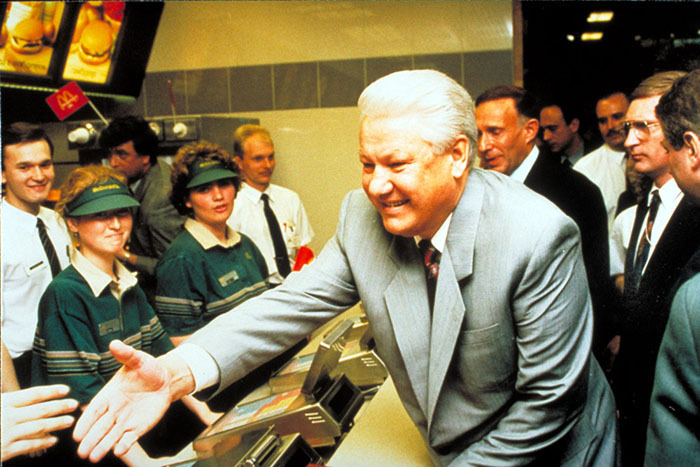 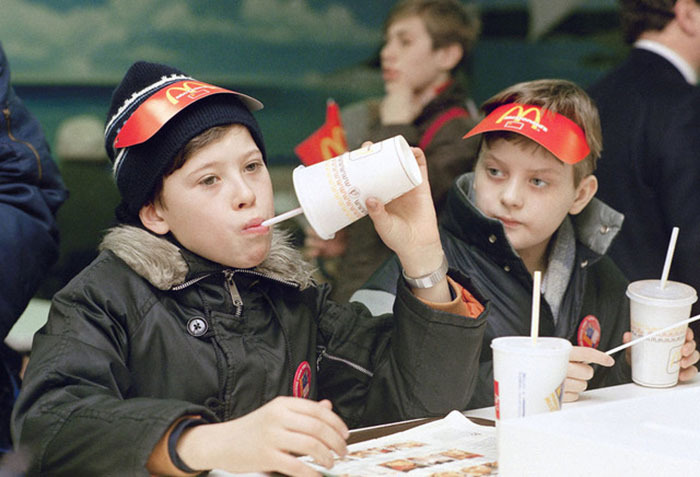 The Moscow McDonald’s initiative was a joint venture between McDonald’s of Canada and Moscow city council. 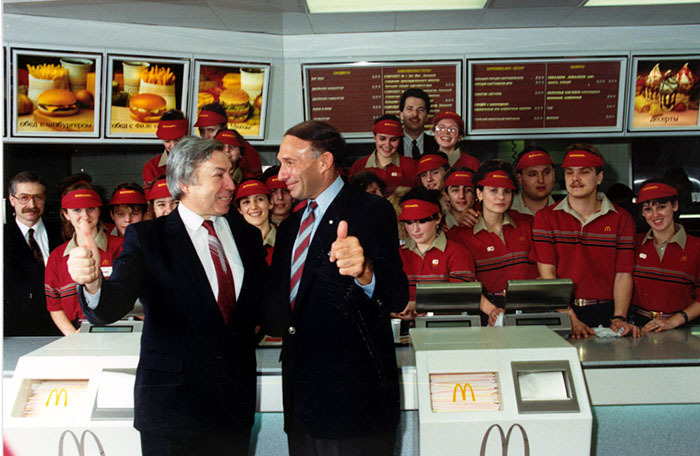 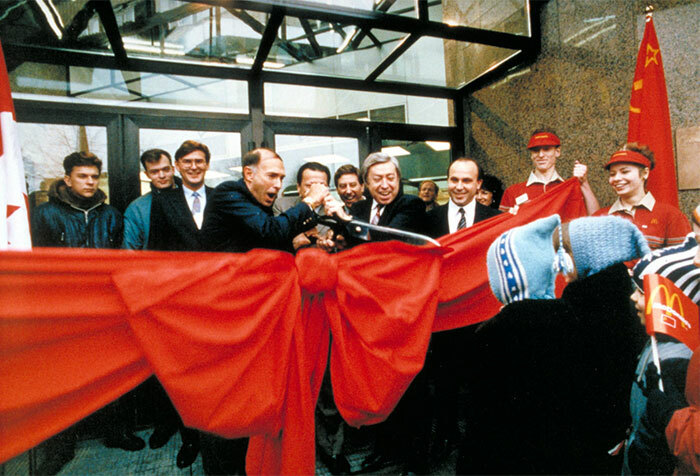 A plan first envisioned when George Cohon, founder and CEO of McDonald’s Canada, met Soviet officials at the ’76 Summer Olympics in Montreal. 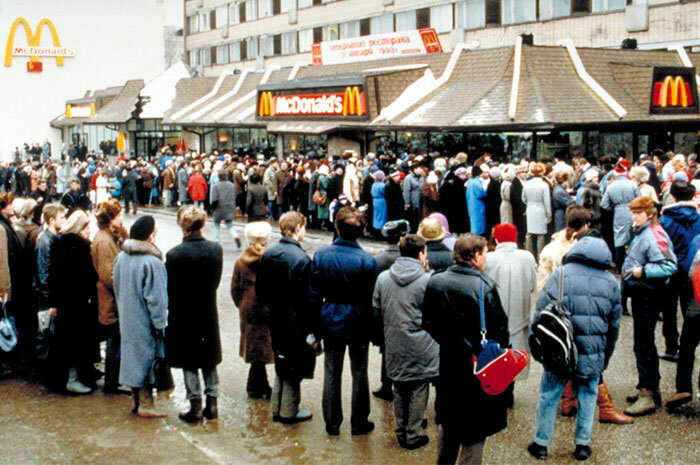 And almost a quarter of a century later, on January 31st, 1990 it became a reality. 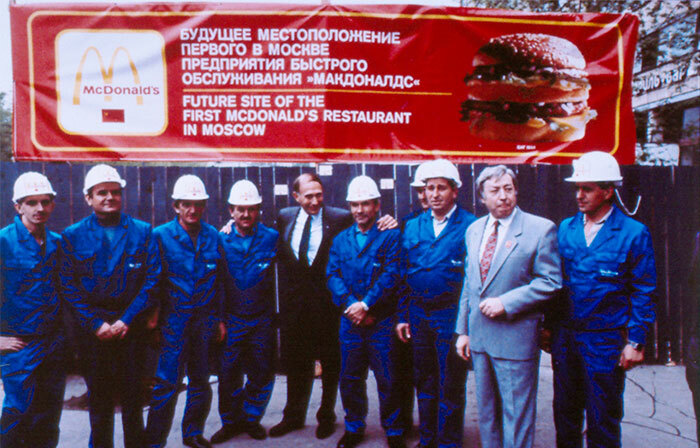 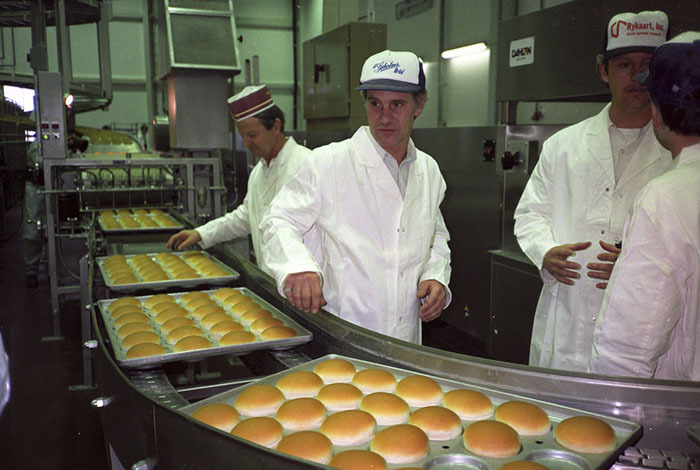 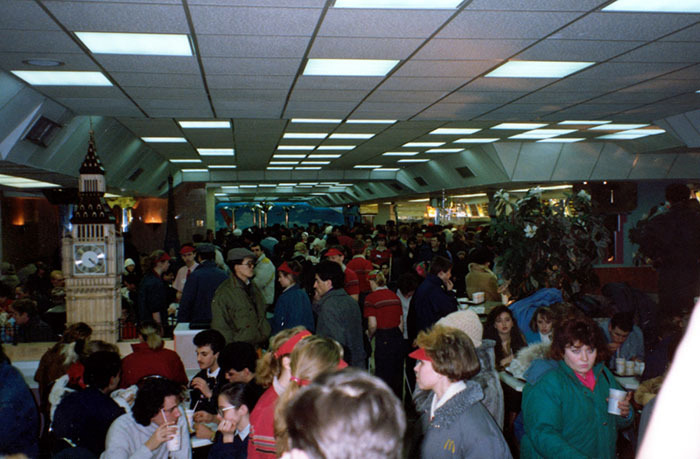 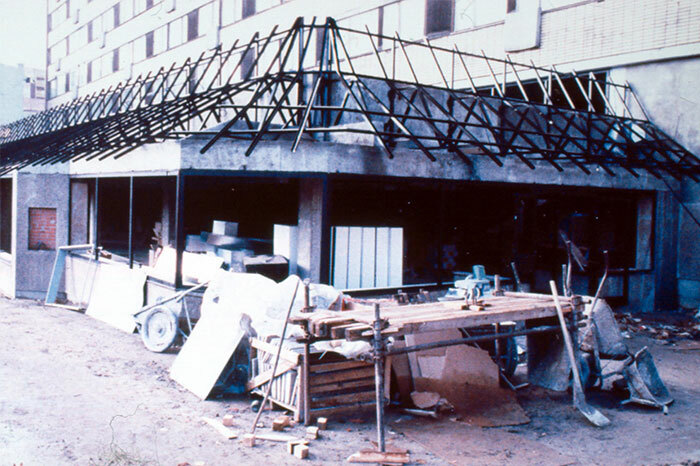 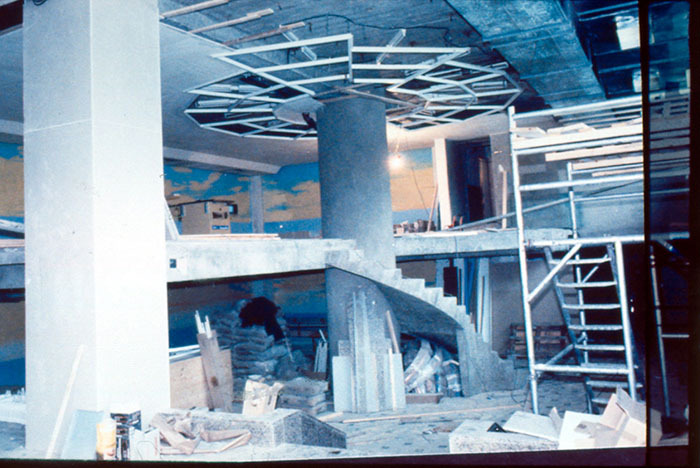 At the time of its construction, it was the largest McDonald’s in the world. 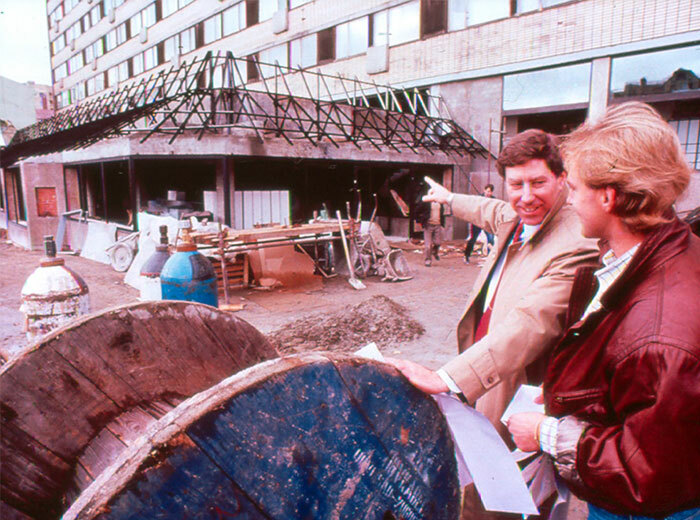 A venue with 900 seats with a staff of about 600 workers that were carefully selected from 35,000 applicants. 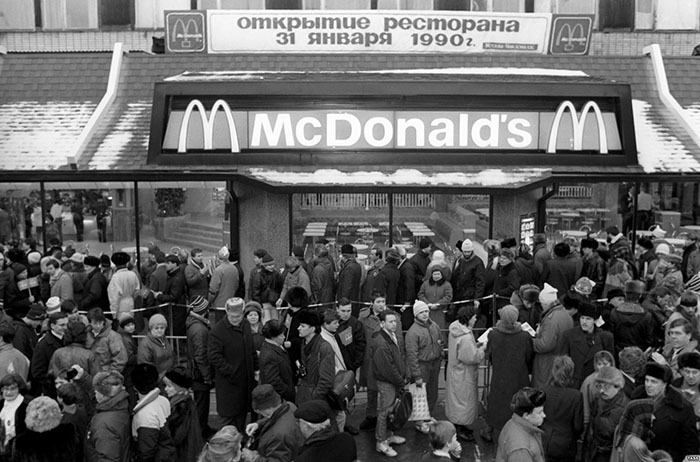 Reportedly, the restaurant expected to serve around 1,000 during its first day. 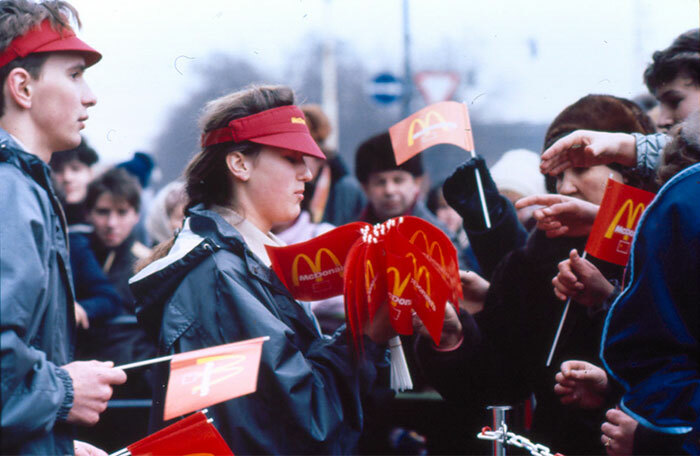 And in the country where the average salary was about 150 rubles per month, a Big “Mak” was selling for 3.75 rubles. 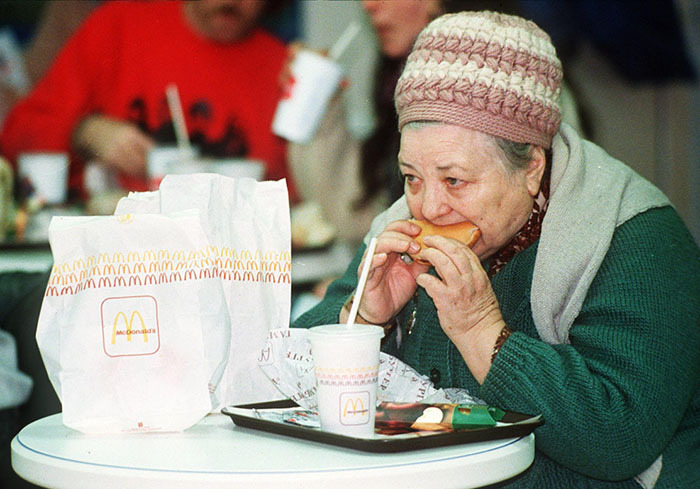 That, however, didn’t stop the people from getting their first taste of it. 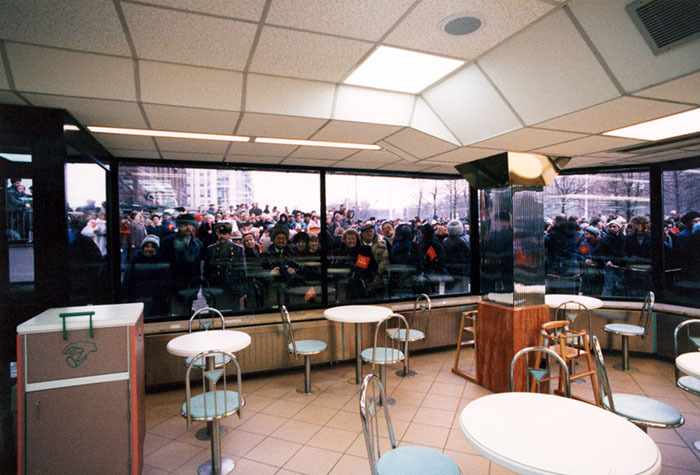 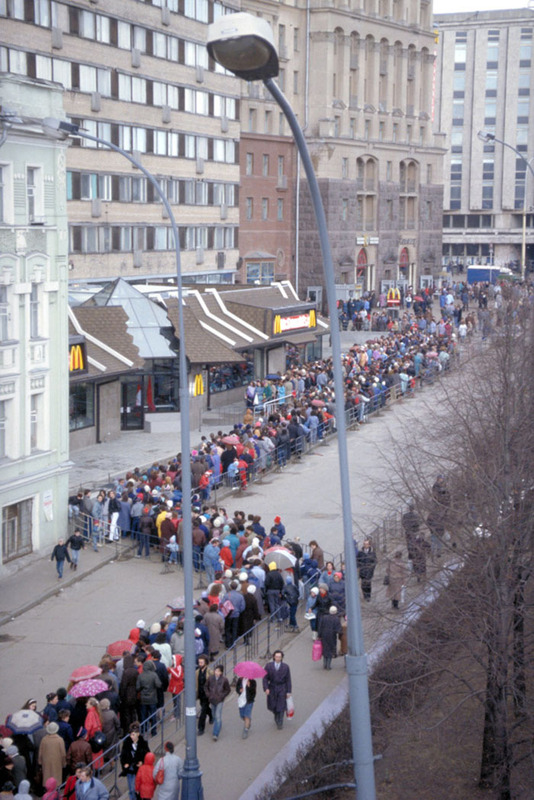 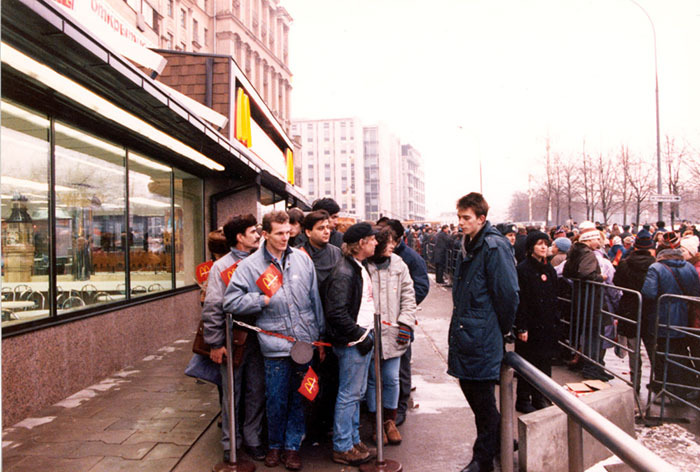 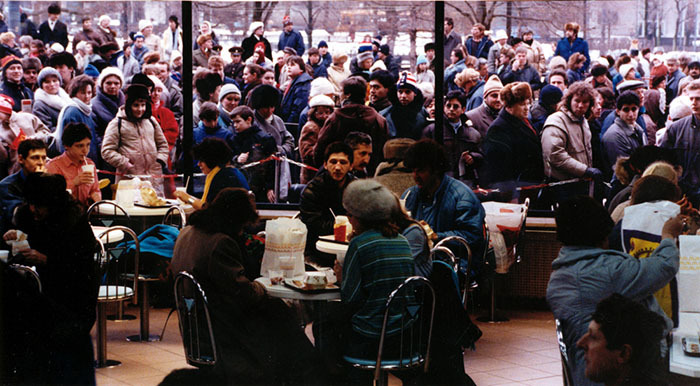 A crowd of more than 5,000 Soviet citizens lined up in Pushkinskaya Square before it even opened and about 30,000 customers passed through the door throughout the whole day. 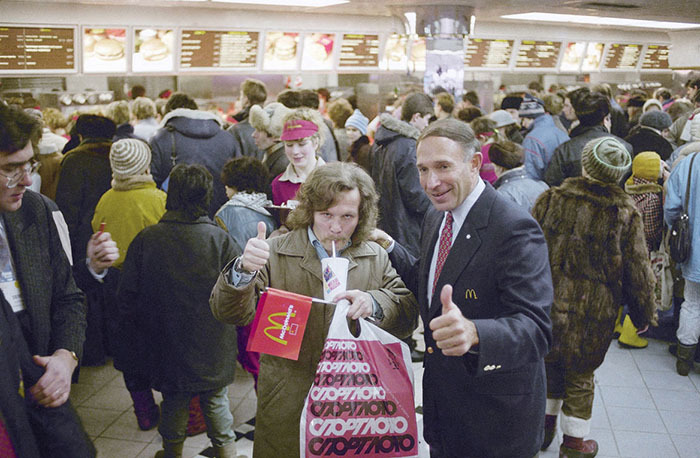 Continue scrolling and check out the historic pictures that captured the whole madness.